Before your dad was a dad, he was a dude. This Father's Day, we're celebrating your dad back when he was just a dude, with Dude's Day! You know that one picture of your dad that you love to make fun of him for? That's the one we wanna see! It could be of him with that awesome mullet. Cut off mesh shirt? Let's see it! Acid wash denim, or Canadian tuxedo? Oh, yeah! His favorite pair of JNCO's with the chain wallet and shell necklace? Give it to us, cause you could win some great prizes! 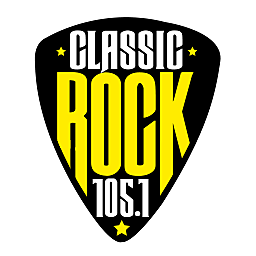 Download our Classic Rock 105.1 App, send the picture in via the app, between now and Thursday at midnight. We'll post the pictures and pick a winner in the 5pm hour on Friday (6/15). The winner will receive two tickets to see Def Leppard and Journey at the Smoothie King Center in New Orleans on Monday, August 27th, and a 32" Samsung Smart TV from our good friends at Audio Video Innovators (AVI), off Ambassador, 'tween Sam's and Walmart!